The Creepy Clown Phenomenon That's Gripping all of USA! Home Top Trending The Creepy Clown Phenomenon That’s Gripping all of USA! There is a pattern that is sweeping across America. 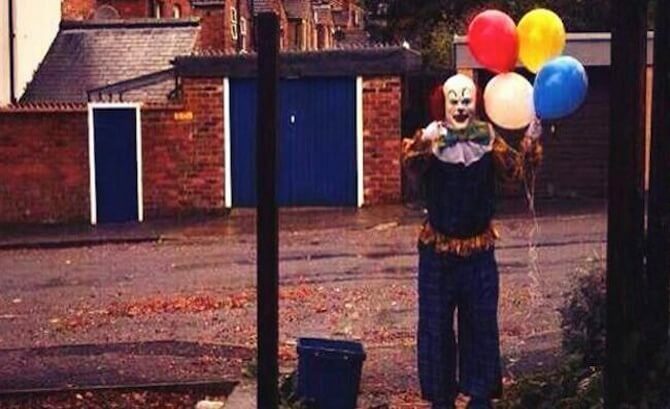 People are dressing up as clowns with the intent of scaring communities. This trend has even spilled over into Europe. There were clowns spotted in England on Sunday. This adds to the list of clown sightings internationally. Other countries such as Canada and Australia are also reporting sightings. The first report of these sightings was on August 1st when a clown was spotted in Wisconsin walking with black balloons. By late August, the trend had caught on and national news outlets started airing local media reports. In Greenville County, South California, there were reports of clowns trying to lure children at an apartment complex into the woods. August 1, 2016: There was a sighting of a clown walking around carrying black balloons. The sighting was in Green Bay, Wisconsin. The clown was not arrested. 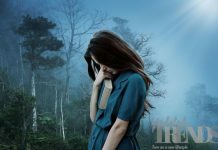 August 29, 2016: Residents of Greenville County, South California, reported that there were people dressed as clowns who were trying to lure their children into the woods. This story was picked up by national news outlets. September 4, 2016: Police received reports of clowns trying to lure children into the woods in Winston-Salem, North Carolina. 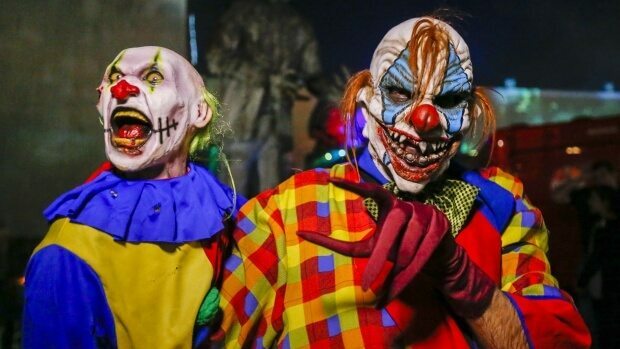 September 14, 2016: Deputies received a call in McDuffie County, Georgia, with a report that men dressed as clowns had chased a 12-year-old boy and his brother. September 15, 2016: A clown wrote threatening posts on social media in Flomaton, Alabama, forcing schools to be put on lockdown. A woman, 22-year-old Makayla Smith, was arrested for posting the threats. There were sightings of clowns near the two high schools in the area. September 19, 2016: There were reports of clown sightings in Annapolis, Maryland. However, authorities later called these a hoax. 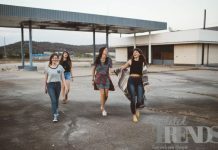 September 21, 2016: A middle-aged girl went to school with a knife in Athens, Georgia. She claimed that the knife was to protect herself from clowns. She was later arrested. On that same day, there were reports of a 12-year-old girl being chased through a park by clowns. September 24, 2016: A woman reported seeing “killer clowns” while walking her dogs in Palm Bay, Florida. September 25, 2016: In Phillipsburg, New Jersey, there were reports of three people in clown costumes chasing a child after they jumped out of a wooded area. September 27, 2016: Officials in Tennessee announced clown sightings and called on the residents to exercise vigilance. On the same day, police in Phoenix, Arizona, reported that criminals in clown masks had robbed a fast food restaurant. September 30, 2016: A report released by the New York Times claimed that there had been 12 arrests in 10 states resulting from false reports of clown sightings. In Houston, at least five schools had to be on high alert following a threatening Facebook post. October 3, 2016: Clown sightings were reported in Nampa, Idaho. 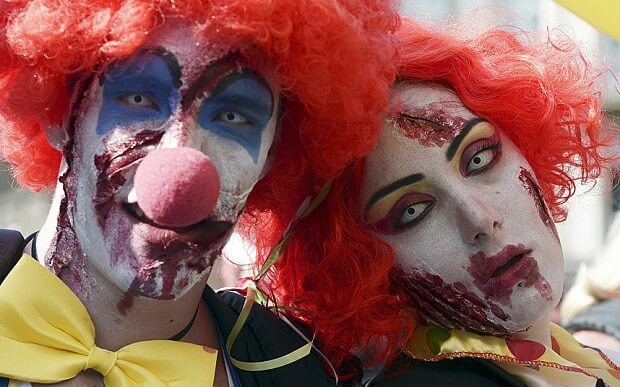 On the same day, schools in New Haven, Connecticut, were called upon by the police to ban clown costumes during Halloween. October 7, 2016: There were reported clown sightings in Edmonton, Canada and Melbourne, Australia. October 9, 2016: Reported sightings of clowns in England. Seems like mischievous Halloween vibes are spreading all around!